When I get asked by team members about mobile accessibility, I am often asked how difficult it is compared to desktop accessibility testing. Often the questions indicate how many assume that mobile accessibility is a completely different beast to traditional functional and accessibility software testing. 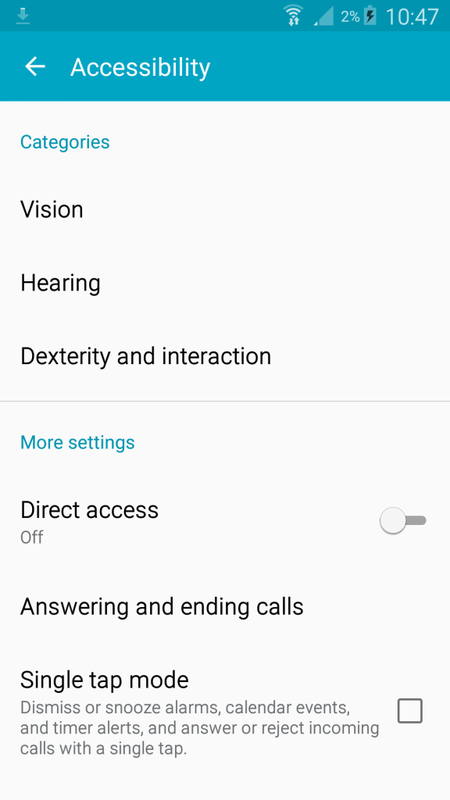 This has prompted me to write this quick summary to help clarify how I approach mobile accessibility testing, and how it only requires a few tweaks to desktop testing successfully perform audits. Some of you may be surprised to know the number of screen reader users that will use a mobile to browse websites. In the 2014 Webaim survey (a new one is in the process of being compiled) shows that 82% of screen reader users will use a mobile device. or a combination of these issues which makes addressing accessibility even harder! Some users will use items like Bluetooth keyboards, but does this mean a tester also needs to use extra hardware when testing a mobile site? For requiring other hardware, you are more likely to need a range of mobiles with different operating systems than extra hardware like a Bluetooth keyboard. This is due to the fact hardware used for accessibility will highlight the same issue in the software whereas different operating systems will have different screen readers and versions inbuilt. The issues found with different screen readers will vary but the hardware will have the same common issues, e.g. the page order will match the order of items selected with left to right swipes using a screen reader. The minimum requirements to test for mobile accessibility should be an Android and an iOS mobile (as they each use different screen readers and browsers/applications). I would advise to not use emulators for testing mobile applications and websites, they are a good starting point but do not show how the hardware will work with gestures. Some will say you should not look at the screen to do true testing like an end user, but I believe being able to see the items helps as you can tell if a label shown is not read or given focus by the screen reader. To help you understand the requirements of testing web sites and applications for accessibility, it helps to understand the tools required. I am going to go through the main points and how to use the tools to cover mobile accessibility testing. The main accessibility tool most testers seem to be aware of is screen readers. On desktops, you often need to use a paid for a tool like JAWS, but luckily on mobile, you have free screen readers built into the operating system. A screen reader is a tool used to read what a sighted person will see on the page. The screen reader for a phone is often activated via the phone settings as inbuilt to the phone operating system. When you start to do the testing, the screen reader testing is normally the most time-consuming and challenging part of mobile accessibility testing, but it will also highlight bad practices and bugs on both desktop and mobile. For instance, the screen reader will read out the form controls in a certain pre-defined order. It will become obvious via the screen reader whether they are structured correctly. A big difference between the desktop and mobile accessibility testing is the screen reader navigation. The desktop screen readers require keyboard shortcuts to navigate the page, but mobile screen readers can connect via a Bluetooth keyboard or specific finger gestures. When testing with a screen reader make sure items shown in the page are read in a meaningful way. Images have a meaningful label, and/or if decorative are not read or given focus. When navigating forms, the fields have meaningful labels and errors are linked to the appropriate fields. Basically, everything you can see must be portrayed in a meaningful way via the screen reader. Another essential tool is a contrast ratio analyser, however, this will be used on the desktop. The purpose of this is to ensure the colour contrast is readable for people with a variety of issues, not just colour blindness. For instance, a low colour ratio can affect people with poor visibility, and dyslexia, often not taken into consideration when checking the colour ratios. First you need to take screenshots of the screen from a phone, upload or send the image to somewhere accessible from a desktop and then use a validator to check there is enough contrast between two adjoining colours. I use Paint to pick the colour, then 2 websites: an RGB to Hex converter (as Paint returns the RGB colour and the analyser requires hex colours) and then a colour contrast analyser like Luminosity Contrast Ratio. HTML validators only work on the desktop so when testing a mobile website. HTML validators are often used to check a web site to make sure the semantics are correct in the code. There are many available as browser add ons, e.g. WAVE for Firefox. I recommend to use these as a starting point, but not as the definitive answer for an accessible site. In some cases the validator will raise issues that are not failures. For instance, they might highlight duplicate IDs defined in the HTML but one “duplicate” is in the HTML comment for the declaration of a variable or the code highlighted as failing is not active so not in scope to be accessible. Sometimes due to these errors, it is advisable to ask a developer to help with reviewing the results if you are not sure on them. 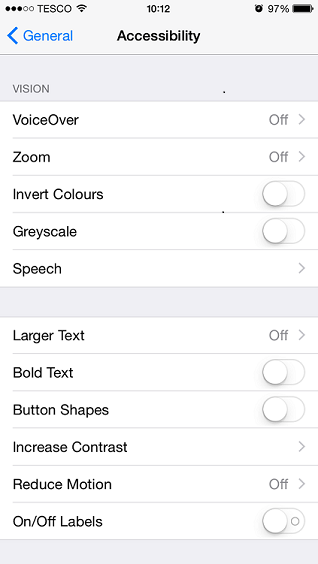 Accessibility options like zooming and invert colours are available on most mobiles. Most of the options are not required for audits. For instance, the zoom checkpoint in WCAG 2.0, 1.4.4, asks the tester to zoom text without using assistive technology. This means you must be able to zoom the page without using an accessibility option but to be able to zoom the page using the normal pinch action. It is like using a third party magnifying tool, if that is the only way to zoom the page it fails the checkpoint as that is requiring assistive technology and not using the default browser zoom. I have also mentioned the most important tool for accessibility testing, the WCAG 2.0 checkpoints. These are guidelines written by W3C and used by most companies and Countries as the standards you must adhere to. In America, there is Section 508, which almost completely matches WCAG 2.0 to level AA but missing 3 items. Therefore I recommend making sure all audits comply to WCAG 2.0 AA. You can try to meet level AAA but this is extremely difficult and not seen as a legal requirement for most countries. I have heard a few arguments of how the WCAG 2.0 checkpoints do not apply to mobile testing, but I believe if you use common sense they do apply. This has only recently been confirmed by the W3C too. Zooming the site/application: this is important to a user with poor sight and those that may have difficulty moving their fingers to select a button. A larger button is easier to select. This is the same for desktop and mobile, but again using different methods. On a desktop browser you have the zoom feature, but on a mobile you have the pinch movement. Colour ratios: most testers verify these with a toolbar on the desktop, but I recommend using screenshots to get the actual colours shown and validating them as what is programmed in is not always what is seen. This applies to both desktop and mobile. When you have the screenshot, use the paint tool on items that look too similar in colours to grab the colour used (e.g. grey text on a darker grey background). Then convert the RGB colours to hex to work out the ratios with a tool like Luminosity Contrast Ratio. Readability of the site: make sure the text is not overly complicated and easy to understand. Also make sure the text is easy to read, especially if the background is an image and/or using gradients. This is the same for both desktop and mobile testing. Navigation: make sure navigating the site or application is consistent, logical, structured, descriptive and not over complicated. This really applies to both mobile and desktop testing. To check the navigation make sure links are descriptive are not just “click here” ones, and easy to understand. Also if there is a mechanism, like menu items, they allow you to navigate to all pages in the site in a similar way. Mobile testing for accessibility does not need to be a big task and can be very similar to the requirements of desktop testing. There are overlaps a desktop site versus what seems to be the same on the mobile can have completely different bugs when you test both. With smart and considerate planning you can probably easily cover most accessibility tests through an effective and broad functional testing approach. Helen Burge has a Business Information Technology degree from Bournemouth University and graduated in 2003. After leaving university she worked in testing and part of all her roles involved accessibility testing due to her fascination at how unappreciated the need is to make websites and applications accessible. Helen worked closely with developers to help learn the most effective way to find and report issues. From this, she built a unique test methodology to make sure accessibility bugs are not subjective but make sure any issues raised are reproducible with actionable items. This approach has ensured the team can resolve issues and understand the impact on the end users.